Pep Guardiola offers Man City fans some good Kevin De Bruyne news! Pep Guardiola offered two silver linings to the dark cloud of Kevin De Bruyne’s new knee injury problem. 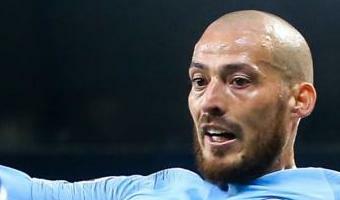 The Manchester City manager confirmed that the Belgian ace will be treated by his favourite doctor, Ramon Cugat, after flying to Barcelona. De Bruyne is expected to be out for up to six weeks, meaning he will miss the Manchester derby and is a doubt for the trip to Chelsea. 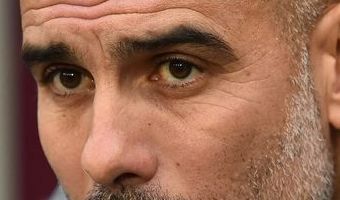 But Guardiola said that the fact De Bruyne has missed so much football in the early part of the season could be a blessing later in the campaign. And he is expected to have Ilkay Gundogan back available for Sunday’s home game with Southampton, to reinforce his midfield after losing De Bruyne. 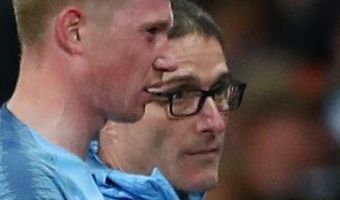 Guardiola said that De Bruyne had been saddened by suffering yet another injury blow so soon after making his comeback from a two-month lay-off – for injuring ligaments in his other knee. 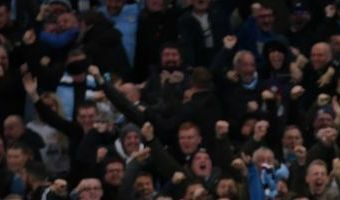 But he looked on the bright side, feeling that it could benefit City down the line, and that at least it gives him some … [Read more...] about Pep Guardiola offers Man City fans some good Kevin De Bruyne news!